On this self care Sunday, working this afternoon and enjoying a new boho maxi dress that I recently purchased, I mixed up my own juice blends and also mixed in a bit of fun. I felt drawn to declare today a juicing day. All of my meals have been in liquid form. A day of juicing gives my digestive system a break and delivers rich nutrients quickly to the cells of my body. 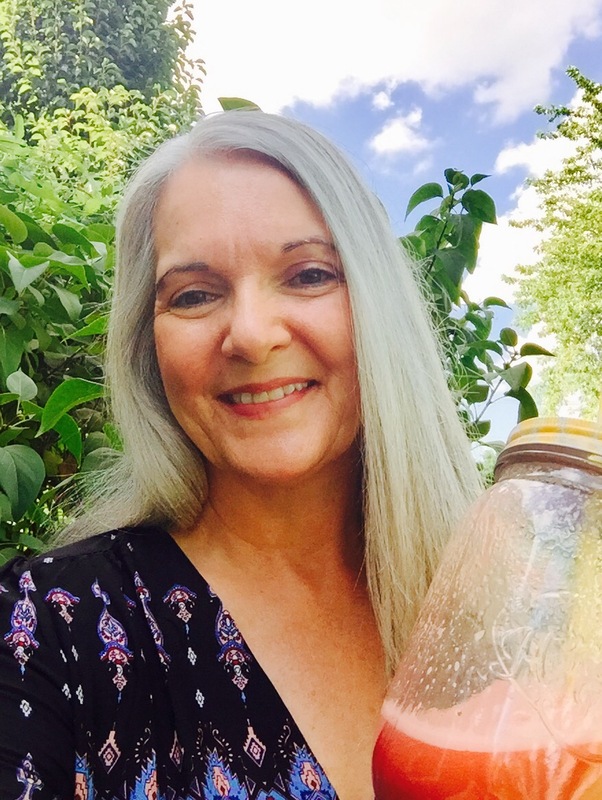 I love how juicing makes me feel, raising my energy and my awareness, making my body light and exceedingly healthy. This was a perfect day for juicing, instead of cooking. The day was hot and humid, which inspired a fun little creative project. I picked up a small DIY popsicle kit at the market a couple of days ago. Summer goods are already marked down in price. I haven’t made my own ice pops in many years. 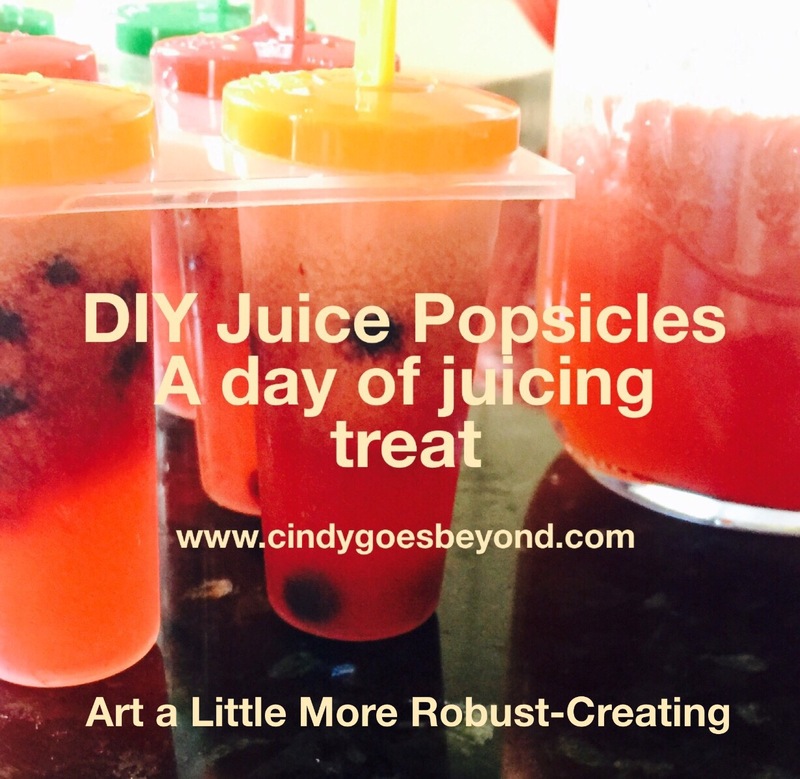 With an abundance of juice created today during my fast, that pop kit presented the perfect opportunity to create cooling, frozen juice. 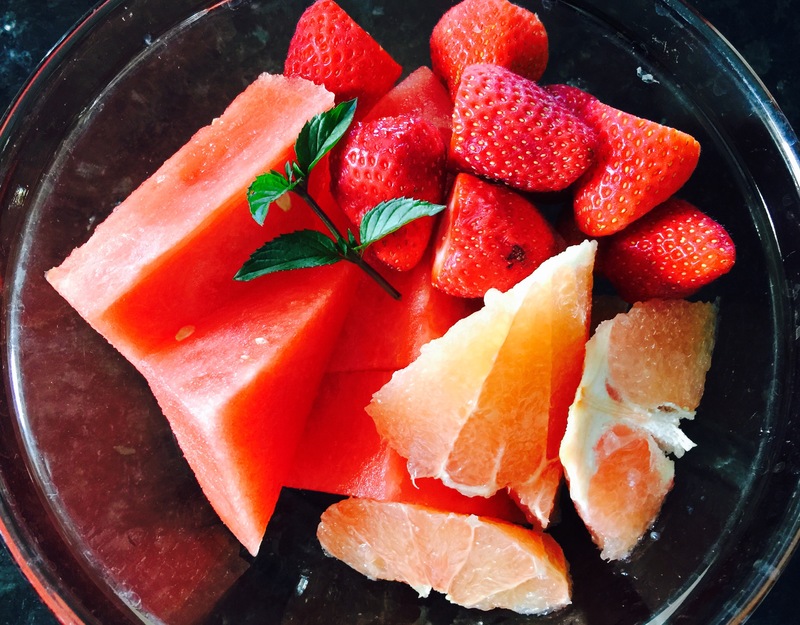 I combined watermelon, strawberries, a grapefruit and a sprig fresh mint from my garden. The blend, which I dubbed Summer Juice, was lightly sweet, with the tang of grapefruit and a hint of mint. 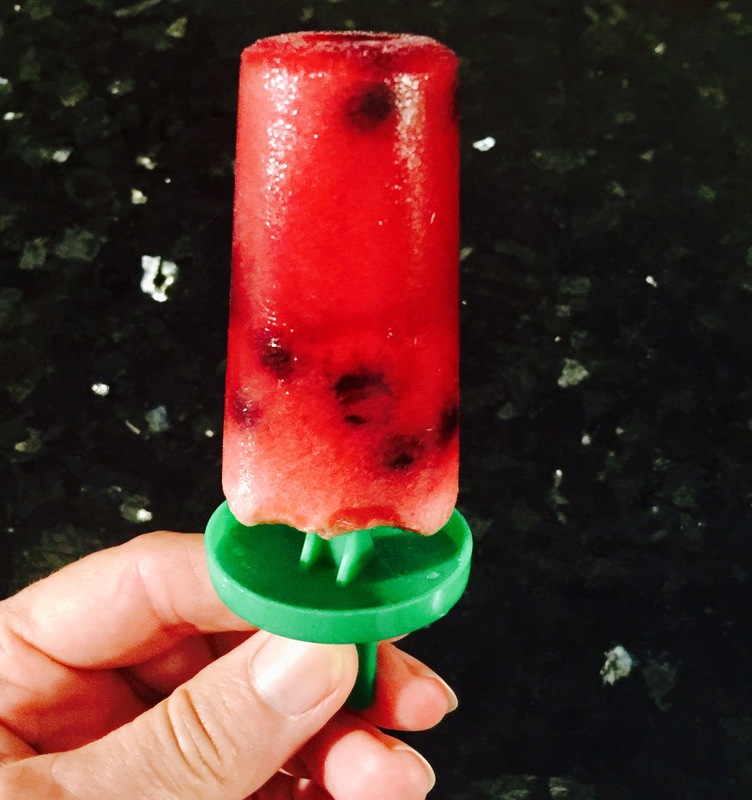 I carefully poured the juice into the popsicle compartments and added frozen wild blueberries. The rest went into my mason jar for an afternoon meal. Unintentionally, I created pops that look like little chunks of watermelon, which is so fitting considering the juice’s ingredients. The tiny dark blueberries resemble the melon’s seeds. I love when such happy “coincidences” occur. It has been a wonderful day of nourishing myself, body and soul. I normally conclude a day of juicing with a hot herbal tea. In honor of summer, and its long, muggy days, I’ll top off this Sunday with a final juice. It just happens to be on a stick.